Created in April, 2014, Monero (XMR) is a Bitcoin-like crypto currency and payment system, which is the champion of blockchain obfuscation. The people behind Monero took the anonymous concept behind Bitcoin and ran with it, creating a truly untraceable payment protocol, which makes Monero the perfect tool for crypto-currency laundering. Although one of the newer players on the crypto currency scene, Monero has seen exponential growth. From just US $5 million, its market capitalization has soared past the $185 million mark. 2016 was most definitely Monero’s best year, although with the proliferation of WannaCry-like cyber attacks, the network has received some unsavory attention in 2017 too, in Bitcoin’s shadow. So what makes Monero Stand out? Unlike Ethereum and Bitcoin, the blockchains of which are fully transparent, Monero uses top-notch encryption to make sure that no one can track one’s wallet contents, or where the Moneros as spent. For every transaction, the source of the funds is secret and the transaction amount is confidential as well. Due to this complete anonymity, funds on the Monero network are always “clean,” never tainted or influenced in any shape or form by previous transactions and owners. The Monero project drew massive following among the developer-community, perhaps due exactly to staying true to one of the original mantras of crypto currencies: total anonymity and confidentiality. 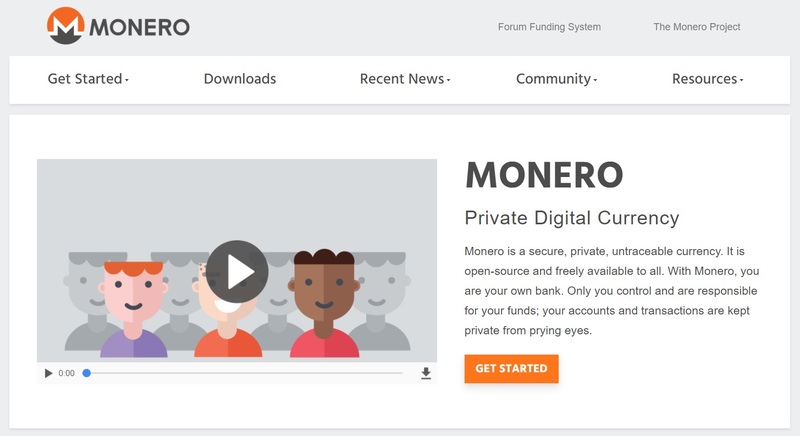 Among the advantages and strengths of Monero, the official site of the currency sees it fit to point out the fact that the currency is free from capital controls too, thus offering its possessor complete financial freedom. The name of the currency comes from the Esperanto word for “coin,” which is indeed Monero. The Monero network is based on the CryptoNote protocol. Monero mining will go on for about 8 years, during which time, some 18.4 million coins are expected to be mined. Following that initial spurt, 0.6 XMR shall automatically be emitted every 2 minutes, to make sure that the currency will remain in a sub-1% inflationary cycle. Learn how to mine Monero.